Results are out and you did not do well. 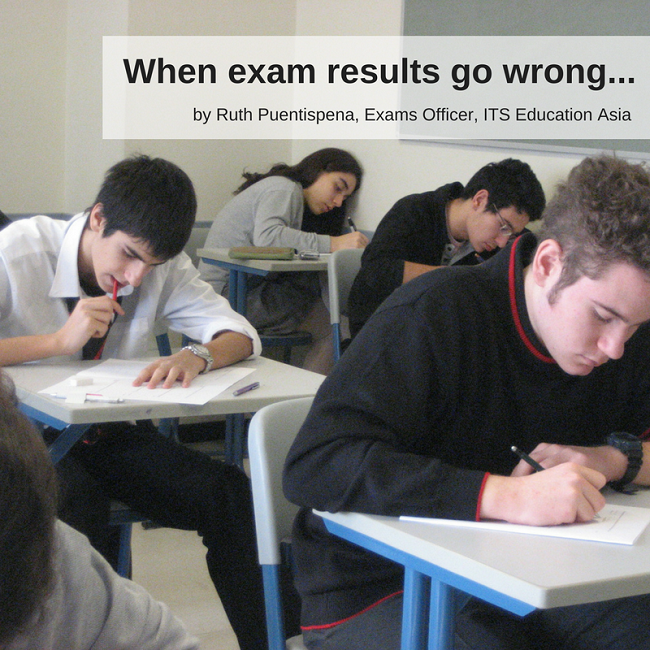 Maybe you had a bad exam day or week or session – in any case, you’ve missed your offers and have lost places at your first, second and third choices. Just because you didn’t do well doesn’t mean you can’t go to university in the autumn. There are many different pathways to higher education and ITS can help you. If you took UK A-levels, then the first consideration is re-taking some or all of your A-level units. ITS is the only Edexcel Exam Centre in Hong Kong offering re-sits in the October exam session. Apart from that, we also hold IAL exams every January and June. Preparing for these tests with us will also allow you to get all the help you need, along with premium guidance on university applications, including help in writing your personal statement and getting predicted grades for your next round in order to ramp up your chances of getting in to the programme of your choice. Some of you may be considering taking a gap year. The important thing is to know how to spend your time wisely. Taking an internship or part-time work in a field you are interested in pursuing is a viable option; or you could take some sort of short course or foundational year. With our vocational and diploma courses in Fashion and Dress-making for example, you gain a range of skills and begin to experience more of a work-based rather than school-based environment. Remember that everything you do should help make your later university applications more competitive, while at the same time allow you to gain and hone the necessary skills you’ll need to succeed at university. Unfortunately, the days of simply going to travel for a year are over in terms of that being a good CV entry. If you have missed out on a place at a top university this will not cut it. For those whose aims are lower down the scale, travel is still a highly valuable option as long as you do learn from it. For IB and DSE graduates, you can spruce up your qualifications with additional A-level results. ITS offers 12 month long A-level courses both in-house and online for anyone interested in adding to their results, as in the case of students who decide they want to do university courses but realize that requirements for admission aren’t met by their current grades. These are available both live and in video format. At the end of the course you will have the option of applying directly to UK based universities at the yearly Clearing Fair held in mid-August. For those who do not want to wait around and need to get on a course immediately, ITS runs a BTEC HND in Business. This is equivalent to the first two years of a bachelor and articulates into a third year top up from a UK university either by going to the UK, taking a year with a transnational partner in your home country or online. This means you would end up with both a graduate diploma level in Business and a Bachelor such as a BBA. There will always be a way to get to where you want to go. Let ITS be your guide in as you choose your Pathways To Learning. Call +852 2116 3916 or email to speak to a counsellor today.